Reseller hosting has risen significantly in popularity over the past few years as web hosts are looking for more and more ways to generate revenue. For users, the fact that it presents the opportunity to start their own web hosting company or just earn some money on the side is extremely intriguing. HostGator has been one of the main web hosts responsible for this increase in popularity, as they offer a variety of different options to make things as easy as possible for users to generate their own profit. With the flexibility, scalability, and powerful tools that they offer, you certainly cannot go wrong with HostGator Reseller Hosting. How Many Reseller Hosting Plans Does HostGator Offer? 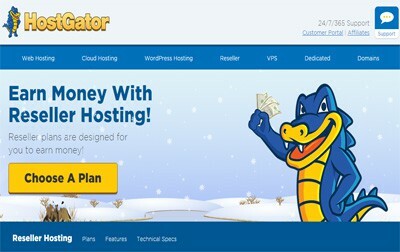 HostGator has five different reseller hosting plans for users to choose from. These plans include Aluminum, Copper, Silver, Gold, and Diamond. Each plan varies in the amount of disk space and bandwidth available, although all five options allow for an unlimited number of domains to be created. 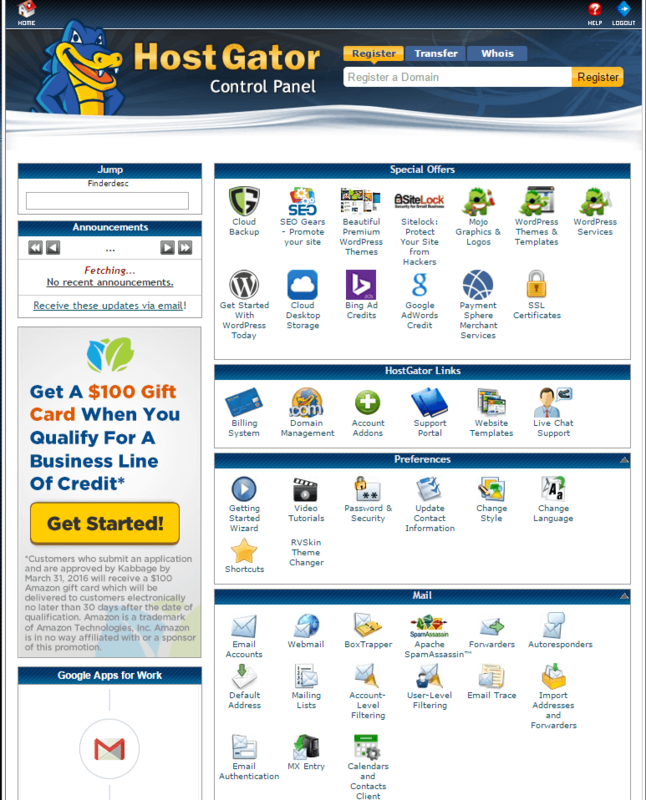 HostGator uses cPanel as their go-to control panel for every hosting plan that they offer. If you are unfamiliar with cPanel, it is generally considered to be the most easy-to-use control panel on the market today and has tons of high quality features included. One of the unique perks of the reseller program is the fact that you all of your clients will receive access to cPanel for their website. How Many Website Transfers Are Included? All of the reseller hosting plans that HostGator offers include 30 free website transfers. These can be a combination of both cPanel and manual transfers. It should be noted, however, that these transfers need to be completed within 30 days of your sign up date. You should also be aware that this is a one time thing and you are not given free website transfers on a monthly basis. What Email Features Are Included? The email features that are included with each reseller hosting plan are outstanding. You and your users have the ability to create an unlimited number of email accounts, autoresponders, mail forwards, and email aliases. They also allow you to have up to 25 different email lists. There is also a SpamAssassin included with all of your email accounts. What is the Major Difference Between the Five Plans? While price is obviously always going to be the main difference between plans, the reason for this variation in price has to do with the bandwidth and disk space that each plan allows. The Aluminum plan includes 50GB of disk space and 500GB of bandwidth. The Copper plan comes with 80GB of disk space and 700GB of bandwidth. Users that go with the Silver plan will receive 120GB of disk space and 1000GB of bandwidth. The Gold plan, which is HostGator’s most popular reseller hosting plan, includes 160GB of disk space and 1200GB of bandwidth. Diamond plan users receive 200GB of disk space and 1400GB of bandwidth. As for the pricing differences, the Aluminum plan is $24.95/month, the Copper plan is $34.95/month, the Silver plan is $39.96/month, the Gold plan is $59.96/month, and the Diamond plan is $79.96/month. Each plan is significantly cheaper for the first month. Yes. HostGator offers a 45-day money back guarantee for all of their hosting plans, which includes all five of the reseller hosting plans. Their customer support is also generally very quick about answering your questions and taking care of any requests that are made. 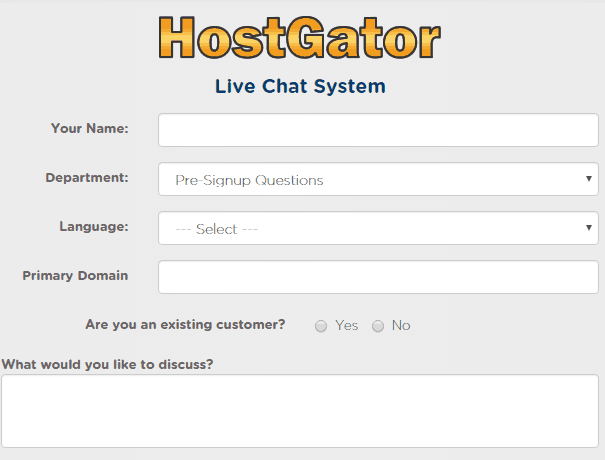 The customer support that HostGator provides to users is among the best that you will find. They offer the usual live chat, phone assistance, and ticket support, but their online support portal is where they really separate themselves. The portal features over 500 video tutorials and hundreds more helpful articles. The HostGator community forum is also very active and there is always plenty of great information available there. As with just about every modern day business, creating an environmentally friendly work atmosphere is important. HostGator has committed to green web hosting by investing in wind energy and purchasing certified renewable energy credits. Their data centers also use energy efficient technology. At the end of the day, the value provided by HostGator’s Reseller Hosting plans makes them one of the go-to web hosts in the industry for web designers and individuals looking to start their own business through reselling. The many customizable options that are available, along with the free website transfers and ability to integrate cPanel, give you everything you need to succeed with reseller hosting. Another convenient note about their reseller hosting plans is that they make it super easy to upgrade to a higher level plan if it becomes necessary due to your own growing business. This allows you to start at a more affordable plan and makes the process of upgrading for the purpose of growth a more cost-efficient option. With the 45-day money back guarantee and ability to upgrade as you go, you cannot go wrong with HostGator reseller hosting services. Features easy to use Control Panel without contract and a 45-day money back guarantee. Free Website Transfer. Email lacks security. Thanks for the great review of Hostgator reseller hosting. I would like to buy it, but waiting for the Black Friday deals. At that time we will get huge discounts in hosting plans.